Originally a village centre farmhouse, Maison Badney was entirely renovated in 2010 to the highest standard using quality materials and sympathetic design throughout. This spacious property offers luxury accommodation including generous recreational space, featuring a completely open plan area on the top floor which, with it"s extra high ceilings and feeling of space, combined with the stunning balcony views, would make the perfect yoga or well-being area. There is also tv room/separate sitting room, sauna with treatment room and plenty of stylish living space. Ground floor: en-suite bedroom, sauna, utility room, ski/boot room and boiler room. First floor: entrance, open plan living space with lounge, dining area and large kitchen, 2 en-suite bedrooms and separate WC. Second floor: 5 en-suite bedrooms, large lounge with feature fire. Top floor: 2 spacious rooms both with extra high ceilings and one of which has a fireplace. 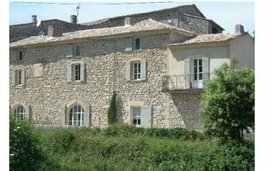 The house occupies a large plot of 3118m2 of partly-constructible land. There is a double mazot (traditional Savoyard outbuilding) for additional storage, in the garden. 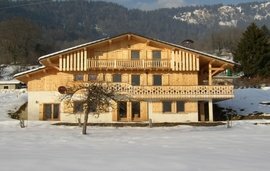 Situated in the heart of Morillon village, the property is just a few short steps from the ski lift and the cross country ski circuit and within easy walking distance of local restaurants and bars. Geneva airport is approx. 1 hour away by car.